clean&simple: FTL180 You've Got Mail! Good morning crafty people. 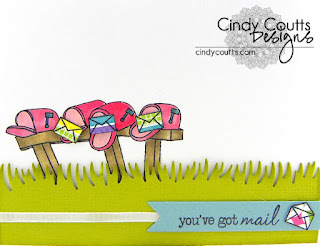 I wanted to do something fun and springy for this challenge outside of the flower realm and grabbed this cute stamp set with mailboxes, colored them various hues of pink and paper pieced my envelopes. The grass is die-cut onto textured card stock and I sponged the edges, added my ribbon and sentiment banner, then popped it all up on foam dots for dimension. I used glue dots on the envelopes for dimension as well. super cute Cindy! I can never resist a mail box or postal creations! Cute card. 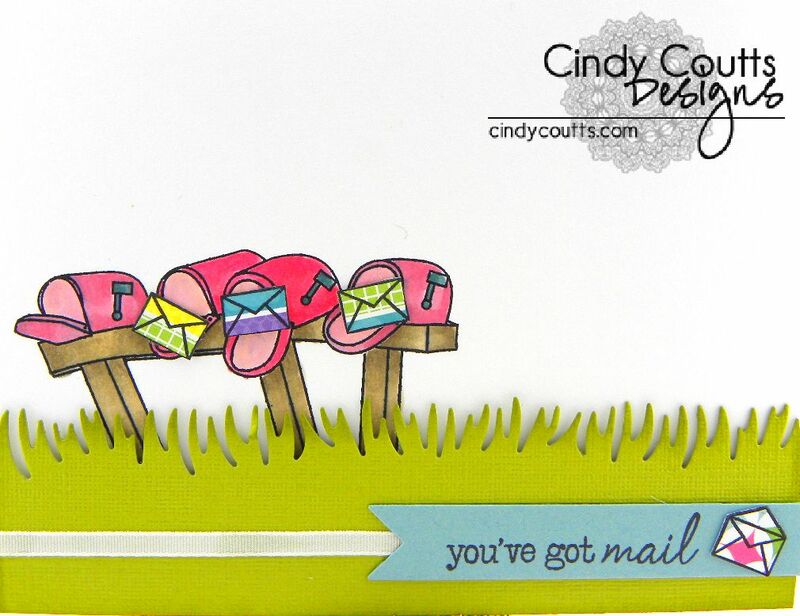 I like the slight tilt of the mailboxes with the bright "envelopes" and the texture of the cut grass. Just too sweet. Love the idea and colours. Such fun to receive!